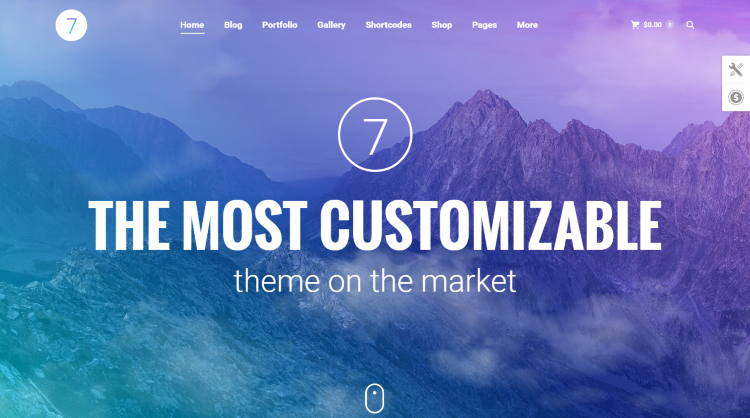 So, in this article, we have come up with the 20 most popular themes on Themeforest. Most of these are multi-purpose themes and can be used for any niche. 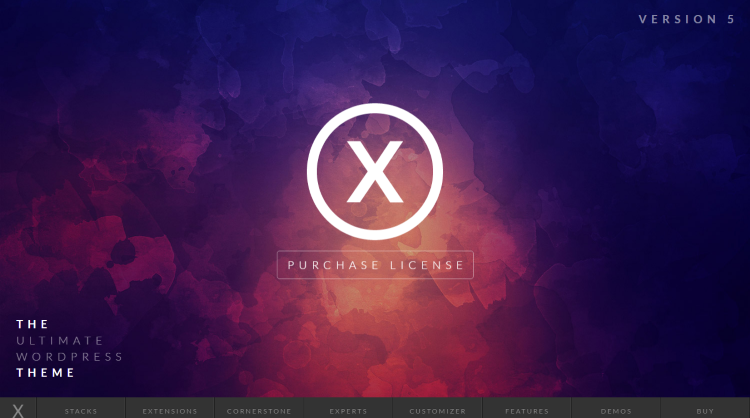 X is referred to as ‘the ultimate WordPress theme’ for a reason! The theme offers a large library of extensions such as Schema Snippets, Email Forms, Woo Checkout Editor, ACF Pro, and much more. 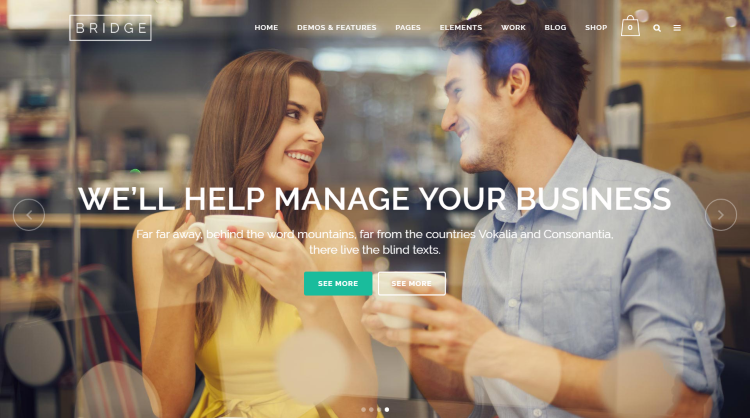 The theme comes with Cornerstone page builder, thus easily allowing the users to build elegant pages. Not only that, it offers a 100% front-end support, allowing the users to edit the website in real-time. 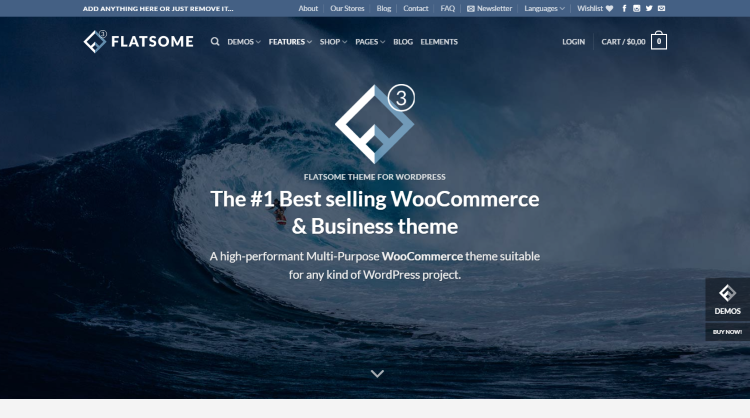 A multi-purpose WooCommerce WordPress theme, Flatsome has been the number one preference of a number of users over the years. The theme has been designed especially for WooCommerce users to set up their e-commerce websites. Regardless of whatever you are selling – this theme fits it all. It comes with unlimited customization options and is optimized for speed too. It also features a large number of one-click installable demos. Enfold is a responsive and retina-ready WordPress theme which is a one-stop solution for all your website needs. The theme offers a customizable layout which works well with websites of most topics. You can set up this theme with ease. Like most of the themes in this article, Enfold also comes with a drag & drop editor. 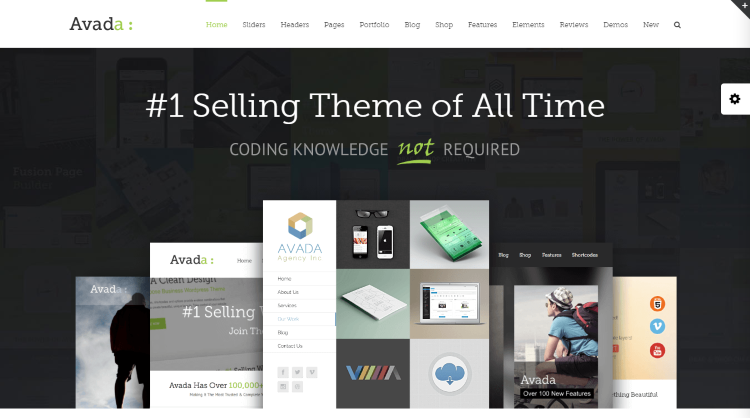 Avada is the best-selling multipurpose theme on Themeforest and can be used to set up websites of almost any kind. It comes with creative menu options, WooCommerce support, and much more. 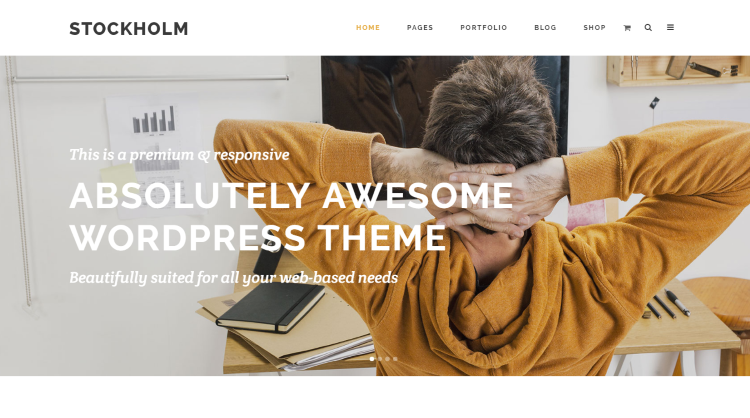 What really makes this theme special is the fact that it allows the admin to set up a professional and beautiful looking website without even knowing a single line of coding. The themes offer lots of customization options as well. With over 200 complete demos and easy to set up website creation tools, Bridge is a game-changer when it comes to WordPress themes. It supports over 700 Google web fonts, offers Layer Slider & Visual Composer plugins for free, and comes with a large number of possibilities of application. 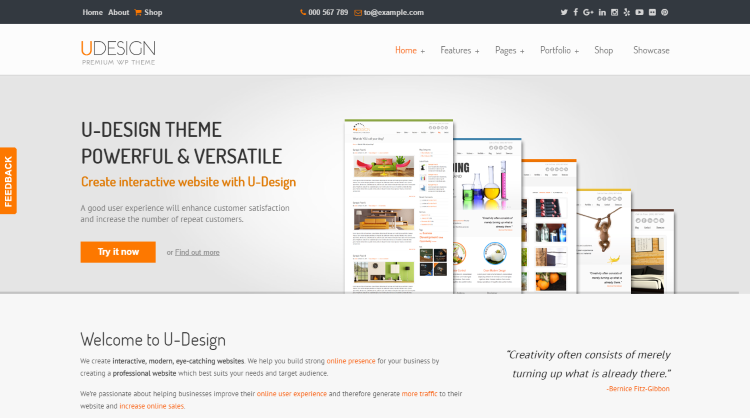 The theme also offers unlimited header and menu layouts. 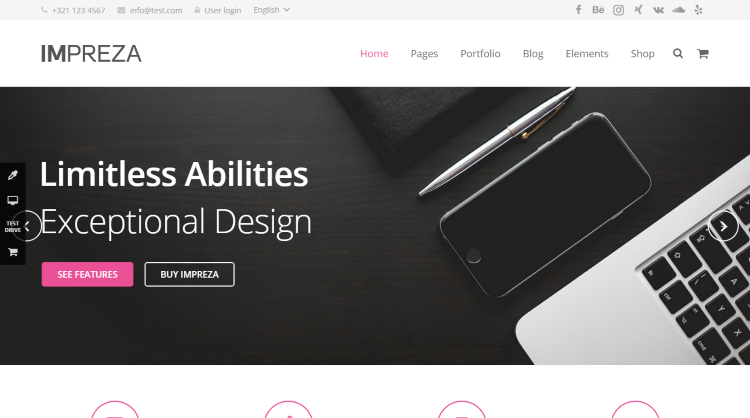 A retina-ready, responsive theme for WordPress websites, Impreza offers a multi-purpose solution. The theme offers a number of grid styles, as well as unlimited sidebars. Some of the important features of this theme are 8 blog layouts, 1300 icons, 5 header layouts, 17 portfolio styles, boxed & wide layouts, and more. 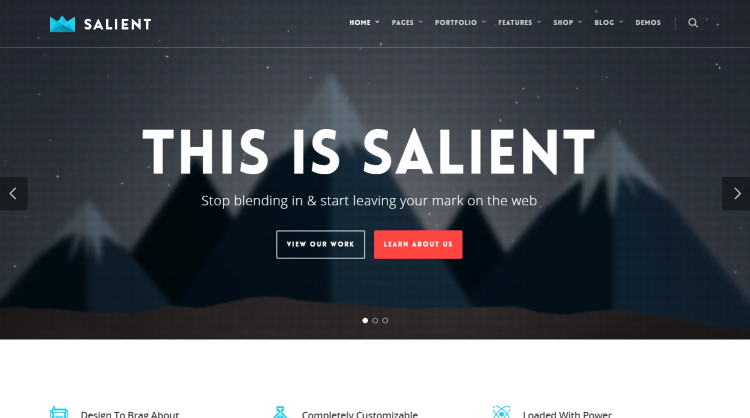 With over 150 templates featuring various kinds of websites, Salient is a WordPress theme which comes with a responsive layout and a retina-ready visual style. The theme features a high page speed and adaptive images. It supports multiple header layouts and 5 post styles. The theme comes with the Visual Composer plugin and also empowers the admin to create online stores with WooCommerce support. Jupiter is a multi-purpose WordPress theme which has a large number of applications. The theme can be used to set up websites of different kinds. It offers drag-and-drop support and comes with a large variety of demo websites. The admin panel is quite different from other WordPress themes. It offers over 100 elements and 230 styles along with 18 header styles, providing a large number of combinations for custom websites. Stockholm offers 40 trendy and fully functional demo websites which the users can choose from. It offers over 600 Google Fonts, a fully responsive layout, and is easy to set up. It comes with a number of bundled plug-ins which make setting up the website easy. The theme is retina-ready and the customizations that it offers allow the websites to carry their own unique look. The7 is a WordPress theme which has been massively popular, thanks to the large number of customizations that it offers. The theme comes with a support for a large number of premium plugins. It also offers easy-to-use features like one-click installations, pre-made website demos, and much more. It comes with the Visual Composer plugin and 750 other theme design add-ons. Uncode comes with over 30 concepts and each of them offers a unique use. The theme comes with a creative web builder kit which features plugins such as WooCommerce, Visual Composer, Revolution Slider and much more. 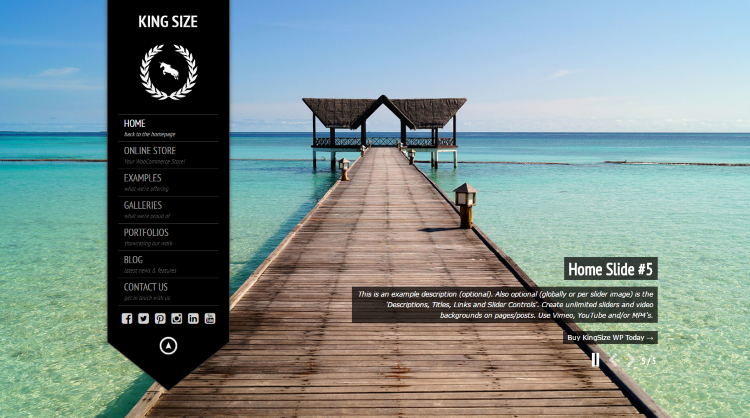 The theme comes with adaptive images and a large number of layouts. It offers an impressive media library, social share options, and much more! It suits the needs of various websites. uDesign banks on the fact that it has a Google Page Speed performance of 99/100. The theme is SEO optimized and comes with a widgetized homepage. It features a responsive & mobile ready layout and supports WooCommerce. The website offers over 2000 fonts and allows a lot of customizations. 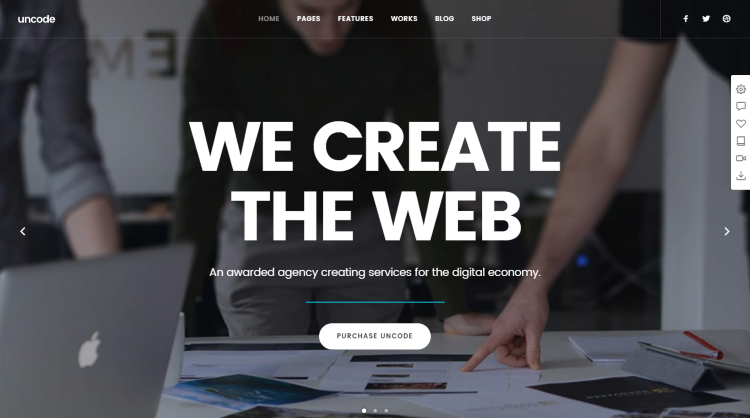 BeTheme is another popular multipurpose website, which offers support for building websites of almost any kind imaginable! It comes with over 250 templates where the users just need to edit the content and take the website live in minutes. 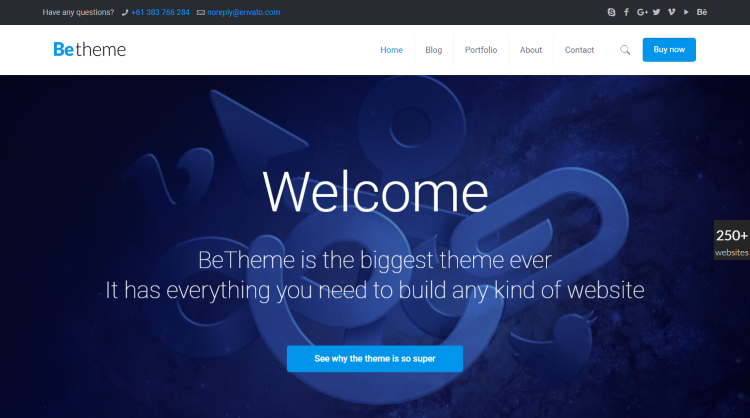 No coding skills are needed to set up a website using BeTheme. The theme offers one-click installation, supports a lot of customization options, and comes with a powerful admin panel. Newspaper is perhaps the most popular magazine WordPress theme. It offers support for a large variety of websites and comes with a number of ready to go demos. The Newspaper theme comes with the Visual Composer and the Slider Revolution plugin built-in. It supports the best SEO practices making it easy for the admins to rank their websites. The theme is fully responsive and browser friendly. 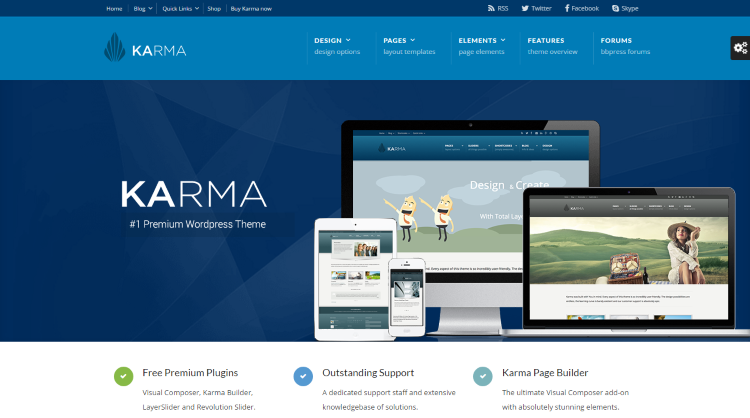 Karma is a multipurpose WordPress theme known not just for its great design but also for the customer support that it offers. The theme comes with a number of plugins built-in, which help the admin to build a beautiful website in a short time. It supports WooCommerce integration making payments and sales easy. It offers a large number of color variations and is fully responsive too. The theme is easily translatable and supports RTL languages. 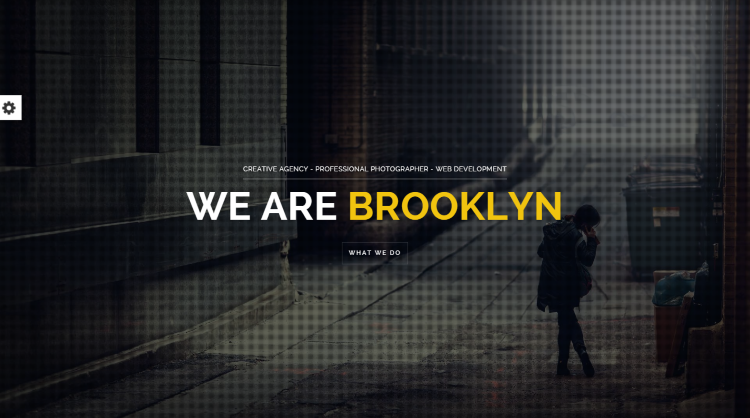 Brooklyn is a multi-purpose WordPress theme which features multipage layouts as well as a one-page layout. The theme features a great extent of customizations and it is possible to set up websites of any topic using this theme. It comes with over 20 ready to use demos which could be activated in just one click! Brooklyn features a powerful admin panel, and is a responsive theme that can fit devices of all sizes! 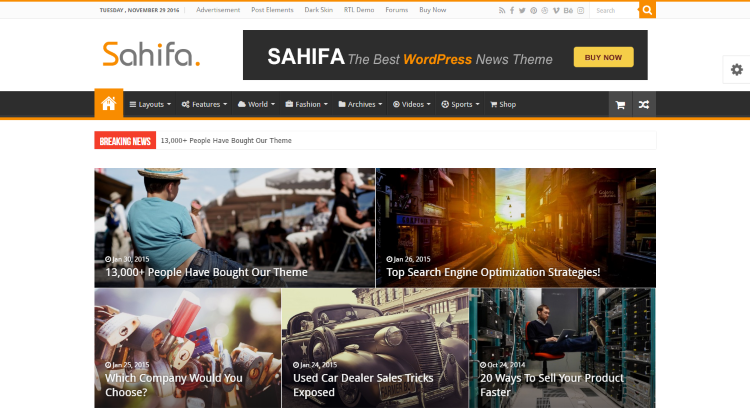 When it comes to magazine or news themes, Sahifa is one of the top preferences of a large number of users around the world. The theme offers support for a fast loading design style and has a large number of content placement options. The theme is preferred by those who wish to create an RTL website as the RTL integration on Sahifa is often praised. 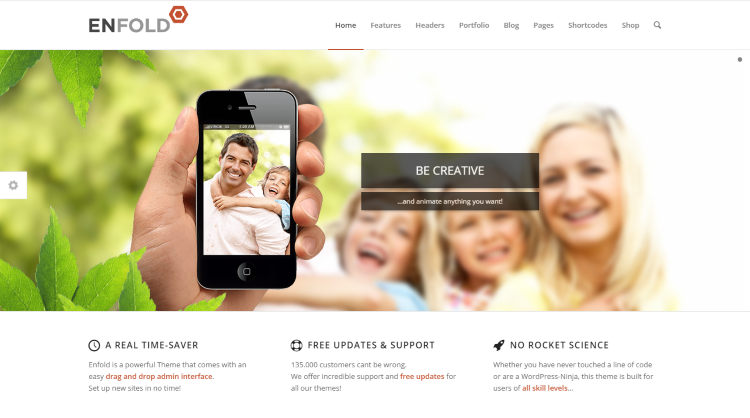 It is a fully responsive and retina-ready theme. It also allows WooCommerce integration and comes with social widgets. Total is the ultimate solution for all your website needs! 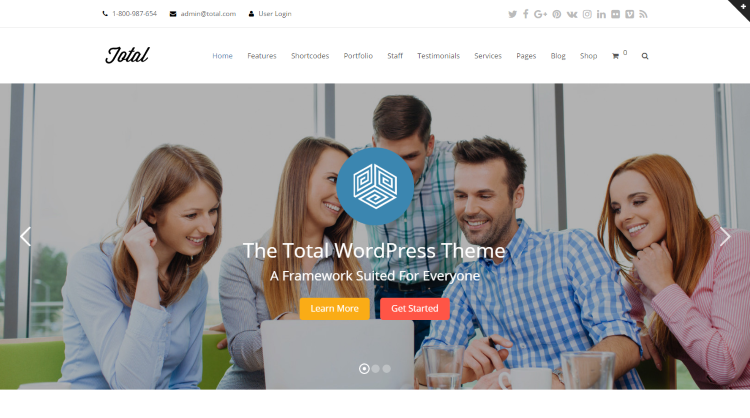 Be it a simple blog that you want to set up or a niche website, be it a business you want to talk about or be it an event – Total is the perfect theme for everything! It comes with drag-and-drop support and a large number of pre-installed plugins. One thing that must be mentioned about this theme is you can disable features you are not using, thus helping you to reduce the loading time. Striking is a multi-purpose, flexible WordPress theme that can be used for various purposes. The theme features support for eCommerce integration and comes with a number of fonts and demos. It includes a theme options panel using which you can customize your website as per your requirements. A website which is particularly designed for photographers, King Size allows you to show off your portfolio in a unique manner. It comes with a full-screen slider, 5 gallery types, a unique portfolio page, and much more. It offers unlimited colors and skins, fullscreen backgrounds, widget-ready footers and sidebars, and various other customization options that make the theme attractive and unique for photographers to display their professional skills and talent. This article contains the most popular WordPress themes of 2017. These themes have been purchased by a number of people. Most of them offer a lot of customization options and have many useful features. So, which one did you like the most? Share it with us in the comments section. Thank you for visiting Webriti and reading this article! We highly appreciate it! You also might be interested in checking out our free WordPress themes collection. Amazing list of themes…Thank you so much. I liked very much Salient and i m surely gonna be used it. 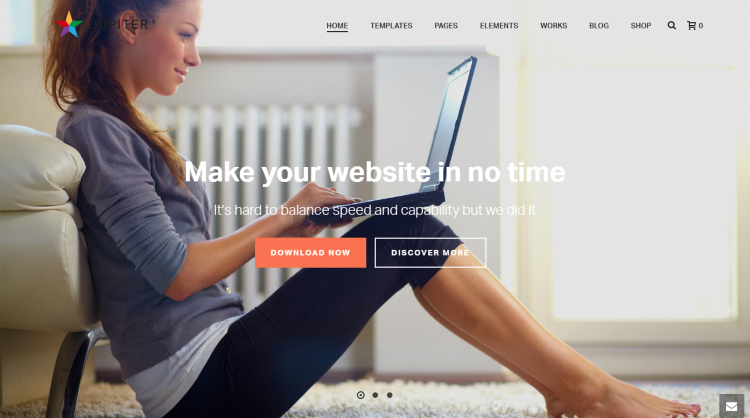 I have just tried Kosmic which is multipurpose responsive theme.